name 5 things. : Lovely Rooms. I am totally digging the following rooms . . . The drapery against the blue grass-cloth wallpaper is perfection. 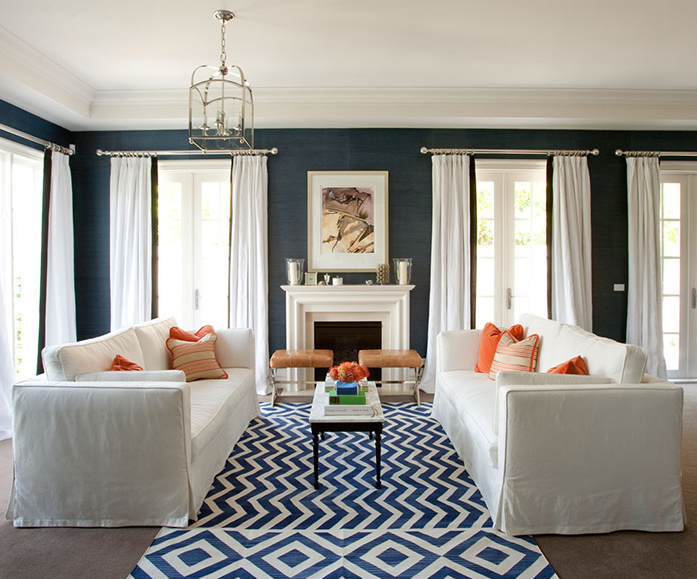 I am loving the bold pattern of the rug, and the blue and orange color combo. The light fixture is amazing, but does it annoy anyone else that it is off center of the room arrangement? I think I have a thing for bold, blue and white rugs. And those nightstands are fabulous! I am a big fan of gray, so this room is right up my alley. Looks so beautiful, yet still comfortable. This week was busier than I originally thought. I found out today that I am headed to Pennsylvania for the rest of the week for work. 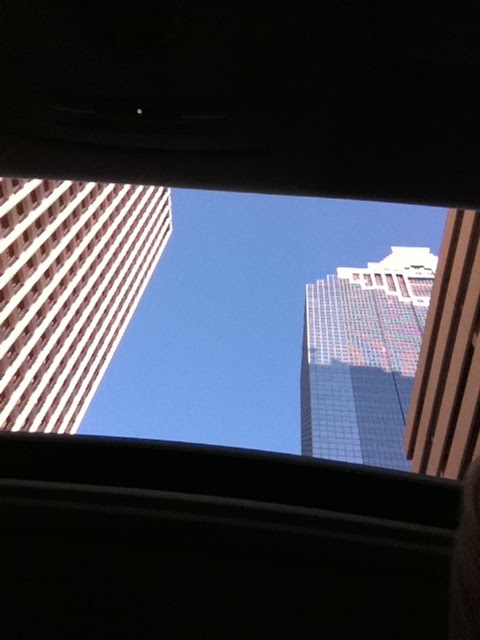 Just when the weather gets gorgeous here, I have to leave for colder temps! I opened up my sunroof on the way to work yesterday and enjoyed the wonderful weather. Can't wait to come back home and catch up on some overdue blogging and blog reading. Have a great rest of the week! ha ha - the first thing I noticed was the off-center light fixture :) I love the orange with blue combo! Love the first room but the light fixture is a bit strange. I wonder if it was originally a dining table under it? Enjoy Pennsylvania, good luck with your big case. I'm totally digging navy these days.. Any idea where you could get a rug like the ones in the first couple of photos? An affordable option? Okay, the off center light fixture would drive me INSANE! Love all the pictures. Have a safe trip! i adore the gray room. so lovely and inviting. The zig-zaggy rug in the second picture is just great, do you know where it's from? gorgeous rooms! i llloooovvvveeee that first living room the colors and the space are stunning! 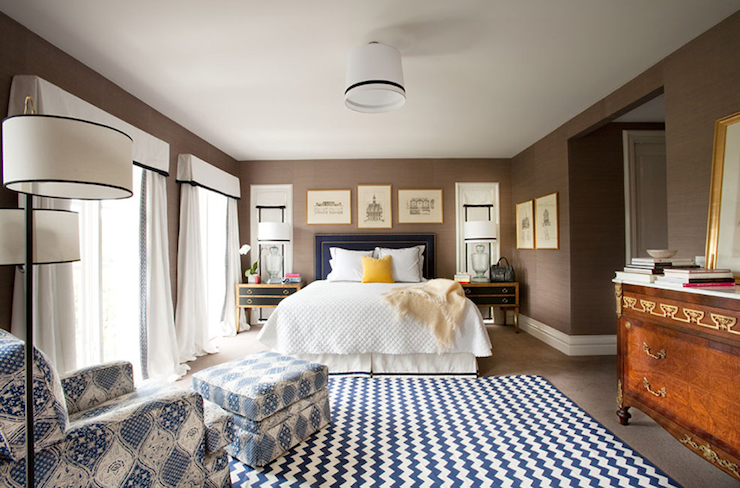 Love those rooms...I am on a navy kick too. Have a safe trip, and hopefully a relaxing weekend. So many great rooms! Love the rugs! That light fixture is making me crazy! It must be better from another angle?? Love that blue and white rug. That off center light totally annoys the crap out of me. I mean why not center it?? Hope you had a good work week in PA! The light fixture is bothering me as well. Majority of the light fixtures in our house aren't centered...I really don't understand why except the fact that it was done by guys who didn't care. It used to drive me insane when we first moved in! So pretty! Minus the off-centered lighting of course ; ) I love the old wood mix in the second pic. Gorgeous! Off the centers really isn't a big issue for me. I like the sun rays hitting the couch. Ah those rugs are treasure. Loving all these rooms. The first one is great though, because the blue and orange just really pop each other! The rug is great, I agree!! Oh I love all of these, the patterns and strong colour contrasts, so pretty look at.